Since its start in the mid-1960’s Kustom has earned a reputation for building amplifiers that sound great, provide flexible features and can take plenty of abuse. Today it produces electric guitar amps, acoustic guitar amps, bass amps, multi-purpose amps, PA systems, monitors and speakers. “Kustom” was a brand and trademark of Ross Inc. a company founded in 1966 by Charles “Bud” Ross, a compulsive gambler who lost the company during a poker game in 1973! The company subsequently changed its name to Kustom Electronics. Since 1999 it has been part of the Hanser Music Group, which also includes B.C. Rich Guitars and Traben Bass. Ross Inc. operated in a factory in Chanute, Kansas. 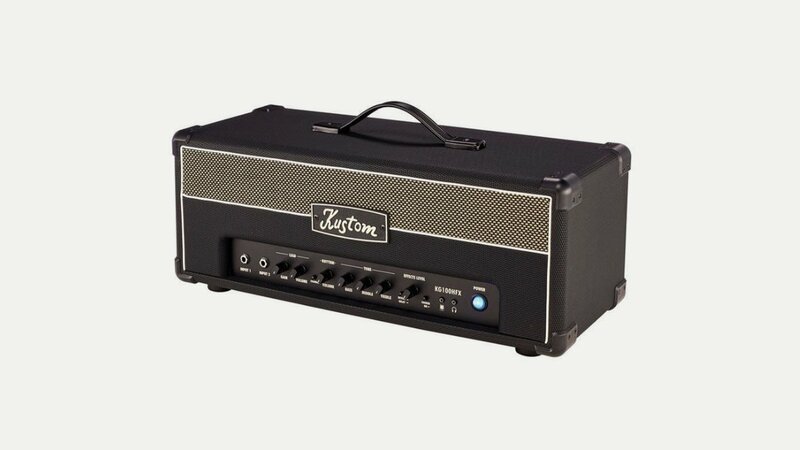 The company produced several models of guitar amplifiers, bass amplifiers, organ amplifiers and PA systems. The original Kustom Amps came in a variety of colours, including Red Sparkle, Blue Sparkle, Gold Sparkle, Teal (which was called Cascade Sparkle), Grey (which was called Charcoal Sparkle), White (which was called Silver Sparkle) and Flat Black (which contained no glitter). Eventually the company even branched out to produce organs, drums, microphones and guitars.